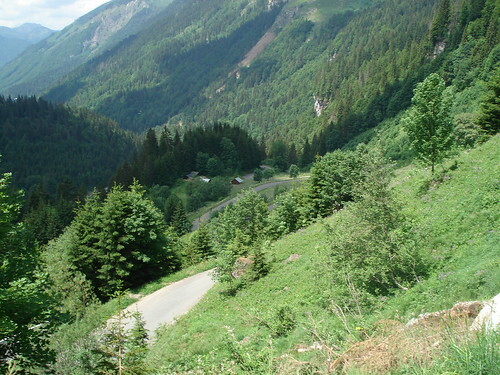 A super scenic climb in the Porte de Soleil ski region (largest connected ski area in the world) that starts at Morzine ski-station. 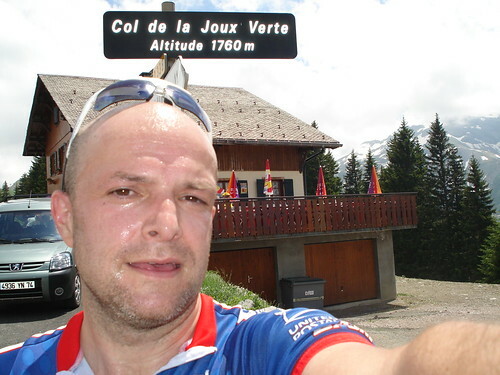 I climbed the South route to the Col and onto Avoriaz a couple of years back during a heat wave and had descended today’s north route and knew it was nice. Not too hard but 3 or 4 tough kilometres. 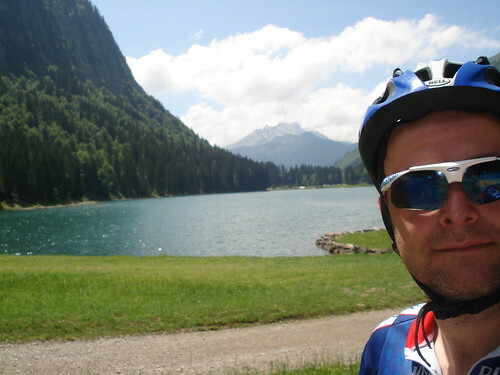 Early in the ride is a beautiful Alpine lake. Its a beautiful narrow valley with more tree cover than usual for this sort of ride. About half way up the hairpins start in earnest. 2/3’s of the way up are a few restaurants and tourist stores in goat town —- dozens roam freely. Bizarre. I was working hard as a few guys were not too far behind me had my highest average heart rate of the year …. but I lost them after goat town. 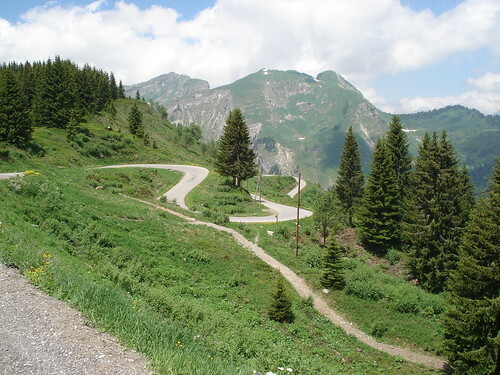 After some great hairpins, the Col is less than a kilometre short of Avoriaz Ski station, so I continued on but is a ghost town in the off-season. I needed to climb a bit more to get over 1,000 metres and on the descent I saw some of-road mountain bikers (a gaggle of english) and joined them for a bumpy and steep detour. Lotsof nice waterfalls as still lots of snow up top. Great ride.